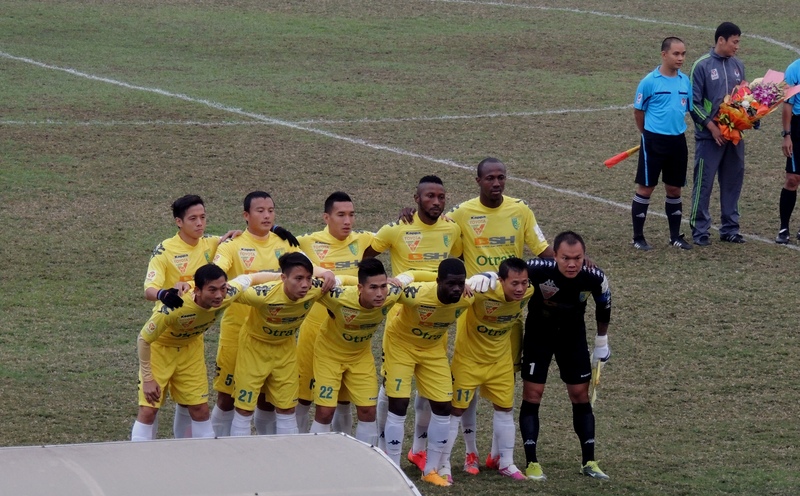 After the entertaining AFF Suzuki Cup, the domestic season has somewhat crept up on us. Of course, once again, I’m optimistic for the upcoming 2015 VLeague season. Optimistic for what, I wasn’t quite sure. Reigning Champions Binh Duong had spent a fortune bringing in plenty of International experience, including National Team prize asset, Le Cong Vinh. T&T had opted to tighten the budget, putting faith in developing the youth players and releasing experienced players Bao Khanh (retired), Tien Dung (Hanoi FC) and a big hole will be left as Sy Cuong (Hanoi’s very own Makelele) moved to Thanh Hoa. As for the VFF, they only just managed to convince Toyota that parting with a substantial amount of cash to be affiliated with Vietnamese football was a good idea. All of the stadiums were quickly adorned with their red and white logo, just in time for the ‘big kick-off’. A total of 21 boards held the brands name/logo at the Hang Day stadium. Over at the VFF, president Le Hung Dung has been rather quiet having childishly accused the national team of throwing the game against Malaysia. It’s an insult to the players he still has his job. 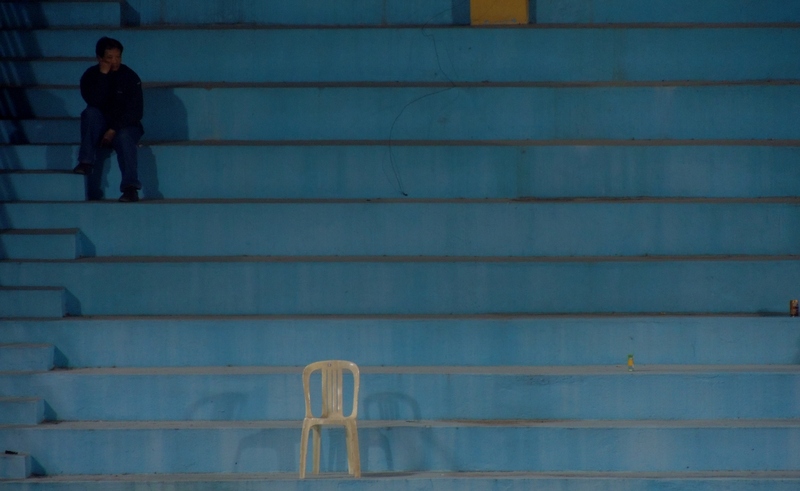 Whatever were to happen in pre-season I’d have still found myself plodding along to the Hang Day stadium, dreaming of a full house and T&T thumping relegation favourites Long An. T&T lined up much the same as last season, with only Gonzalo absent due to injury and Van Hieu filling in. The game got off to a rather lethargic start, possibly due to the teams waiting for 20 minutes as the opening ceremony presentations were delivered. Hanoi T&T dominated passion; Samson was playing well and the impressive Van Quyet was causing the visiting defence huge problems. But, the home side couldn’t break down the well organized defence. We, the fans, were abruptly woken from zoning out, by the moment of the first half. Out of the blue, a child sat two rows in front of me had clearly fallen asleep. As he woke he roared into a deafening impersonation of the Incredible Hulk! The 30 or so fans around me abruptly snapped out of their daze, all lit cigarettes and through bleary eyes realized they’d missed nothing. 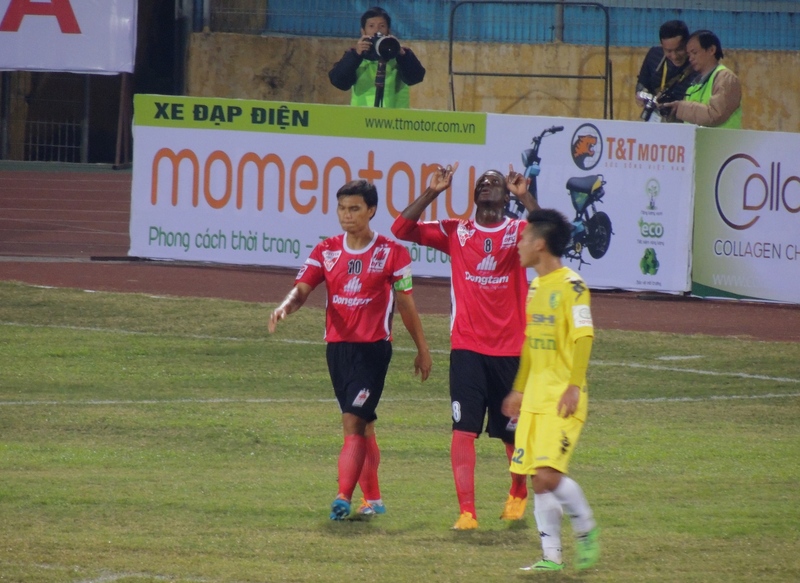 Now fully focused we all witnessed Souleymane head beyond Hong Son to give the visitors an undeserved lead, right on the stroke of half time. The second half mirrored the first; T&T dominated, but lacked ideas against a well organized defence. That was until debutant Duy Manh, who had replaced the injured Van Hieu for T&T, saw his deflected effort sneak in to the near post with 20 minutes remaining. As a contest the game was now over. No, T&T didn’t go on to thrash their opponents. Instead, Long An implemented incredible time wasting tactics. I’m sure if the visiting players watch the highlights they’ll feel rather embarrassed. The opening game was to be a dismal 1-1 draw. Who’s next: Quang Ninh away. “No way am I travelling the 200km to the eastern coal town of Cam Pha, no way!” as I trudged out of the ground. Just moments later I also found out title favourites Binh Duong had thrashed newly promoted Dong Thap. This was not the start I’d hoped for.